A military security command general was arrested Wednesday on charges of carrying out illegal surveillance of civilians affected by the sinking of the ferry Sewol. A general military court issued an arrest warrant for Maj. Gen. 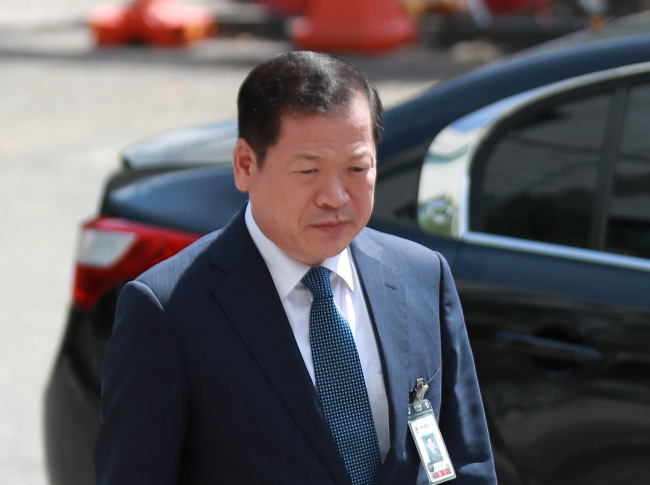 So Gang-won, who served as the chief of staff of the Defense Security Command (DSC), for alleged involvement in monitoring the bereaved families of victims of the 2014 ferry disaster. He is the first figure to be taken into custody since a military probe team investigating the wrongdoings of the now-disbanded DSC was launched in July. On Tuesday, the team said that So played a major role in keeping the Sewol families under military surveillance. The former Park Geun-hye government felt uncomfortable with the sinking of the Sewol, which left some 300 people dead. It caused intense public criticism of the then-conservative government‘s inept management of the crisis.